1.Go to google music frame download page and click the arrow icon next to the relevant version of Ubuntu. And download the latest and correct version .deb package file. 4.After the successful installation,click the Dash home from unity launcher.And type google music frame in the search field.And click google music frame. 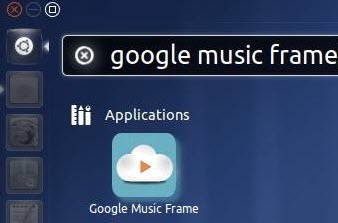 6.After the successful installation,click the Dash home from unity launcher.And type google music frame in the search field.And click google music frame.